One thing that comes to mind when you hear muffin is a quick grab-and-go breakfast when you are on the run — which is true for a lot of people; and even more reason why you should make them at home. 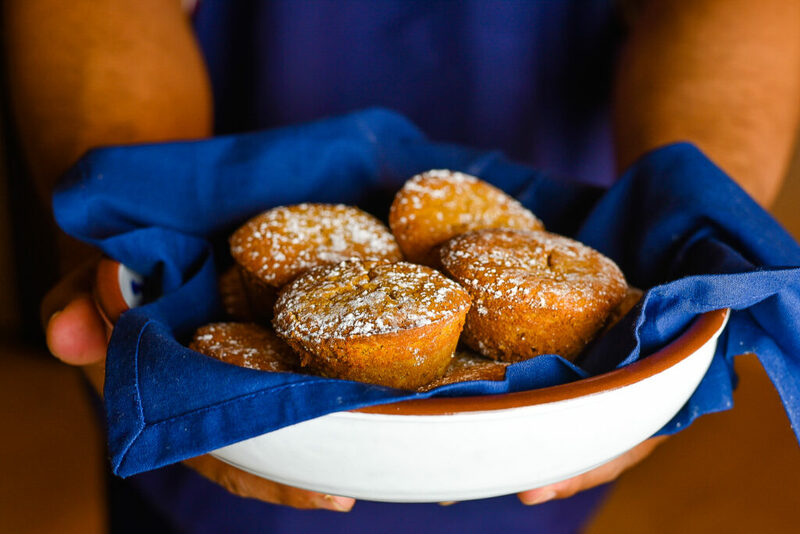 Bakery-worthy muffins from scratch are fairly simple to make and because they are so versatile, you can “fill” them with any and everything from sweet potatoes to blueberries, bananas and walnuts. And because I really have a love for sweet potatoes, I try to find any excuse I can to cook with them as much as possible. 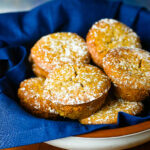 A family favorite, my Sweet Potato Muffins are moist, sweet and filled with lots of brown sugar and cinnamon flavors. 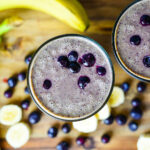 I wanted to create something that would be a quick win and this recipe is a homerun. It is sweet enough for dessert but not too sweet to enjoy for breakfast. 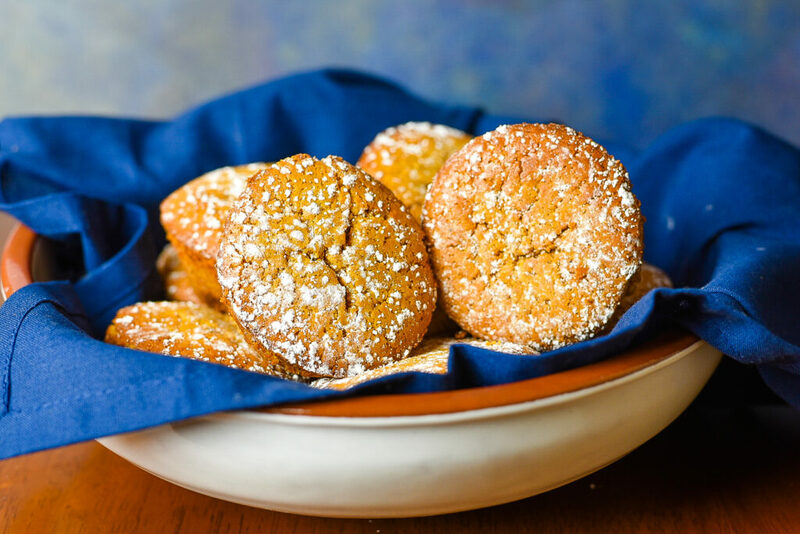 The two layers combine into an awesome blend of sweet potato, butter, flour and brown sugar. The first (or bottom) layer gives it a nice buttery bite and is almost like a pie crust but more tender. 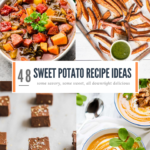 The top (or second) later is all about the sweet potato. If you’ve ever had sweet potato pie, this recipe is basically that in the form of a muffin. 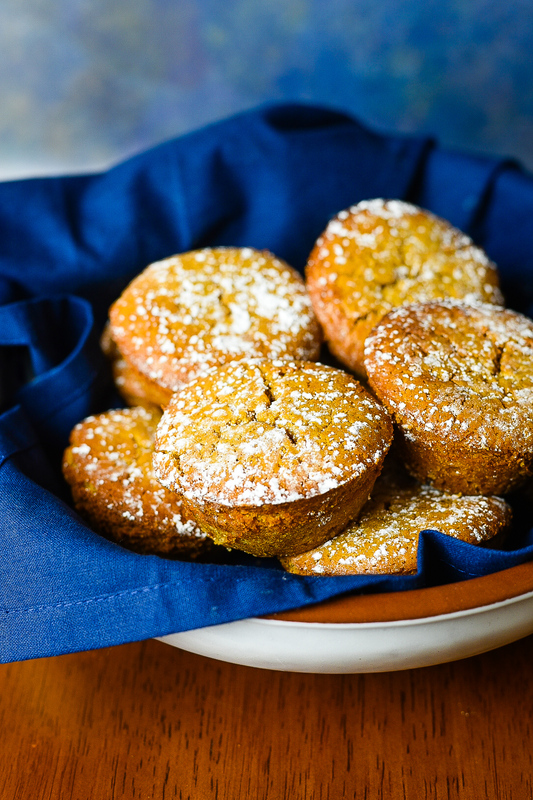 For a breakfast on the run, opt for these Sweet Potato Muffins. Enjoy! 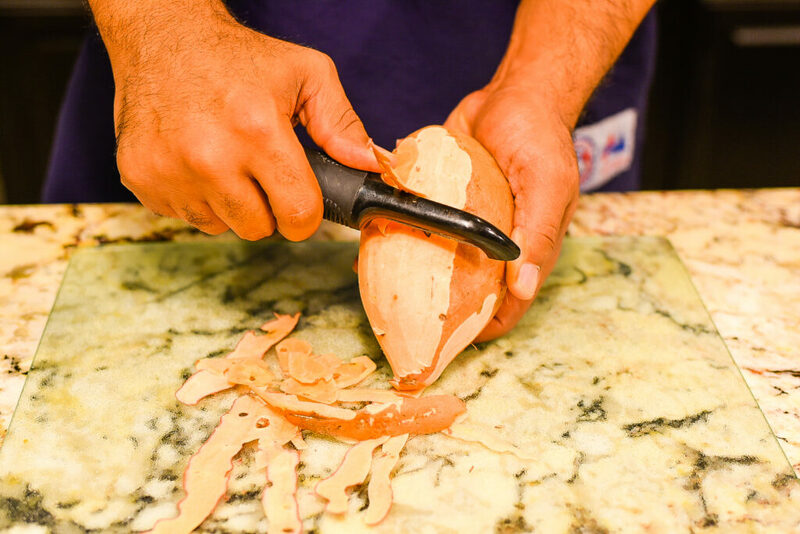 Begin by peeling the sweet potato, cutting it into large cubes and boiling for 25 minutes. Strain sweet potato pieces when done and add to a large bowl. Mash sweet potato pieces. Add melted butter, nutmeg, cinnamon, brown sugar, 2 eggs and cane syrup into bowl and mix well until smooth. Add cream cheese, vanilla extract and almond extract to bowl and blend with hand mixer until it binds. Add each of the following eggs for the sweet potato mixture one at a time while continuing to blend until smooth. For the bottom layer, add flour, brown sugar, sugar and baking powder into a separate large bowl. Stir with large fork. Add melted butter and 2 eggs slightly scrambled into the bowl and stir until it begins to look crumbly and sticks. Sit to the side. Coat each of the muffins cup with butter. You can also use a muffin liner. 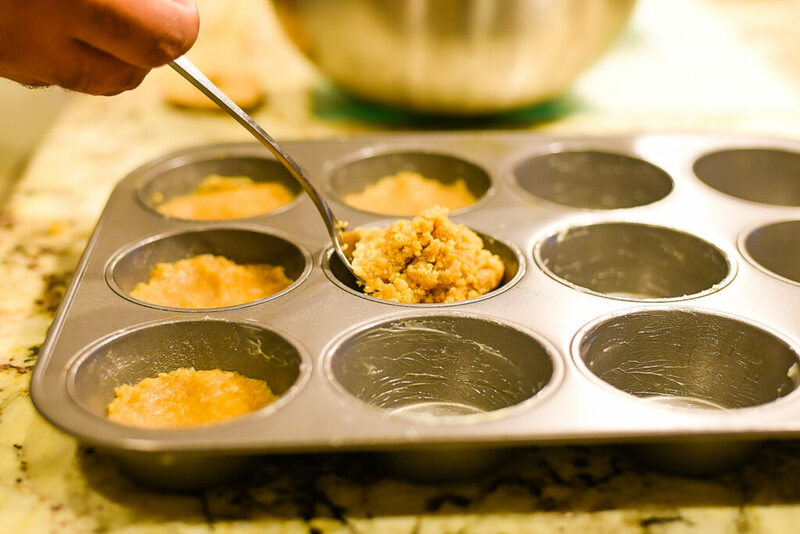 Add 1 tbsp of the bottom layer crumble into each of the muffin cups and smooth the surface flat. Fill each of the cups with the sweet potato mixture. Bake for 40 minutes at 350 degrees. Once done allow to cool then serve.